Aron Hodges was born on November 2, 1934, in Tennessee. He enlisted in the Tennessee Army National Guard on January 2, 1952, and received an honorable discharge on September 27, 1954. Sgt Hodges then enlisted in the U.S. Air Force on September 30, 1954, and completed basic training at Lackland AFB, Texas, in December 1954. He next attended Aircraft Control and Warning Radar Operator training at Keesler AFB, Mississippi, from January to March 1955, followed by service as an Aircraft Control and Warning Radar Operator and Operations Crew Chief with the 738th Aircraft Control and Warning Squadron at NAS Olathe, Kansas, with the 770th Radar Squadron at Fort Meade, Maryland, and at other locations from March 1955 to November 1966. Sgt Hodges then cross-trained as a helicopter flight engineer before serving as an HH-3 Jolly Green Giant and HH-53 Super Jolly Green Giant flight engineer with the 48th Aerospace Rescue and Recovery Squadron at Eglin AFB, Florida, from February 1967 to April 1969. His next assignment was as an HH-53 flight engineer with the 40th Aerospace Rescue and Recovery Squadron at Udorn Royal Thai AFB, Thailand, from April 1969 to January 1970, followed by service as an HH-53 flight engineer with the Aerospace Rescue and Recovery Training Center at Eglin AFB from January 1970 to February 1974. During this time he served as flight engineer aboard the HH-53 "Apple Three" during the Son Tay Raid, a clandestine mission to rescue American Prisoners of War in North Vietnam on November 21, 1970. 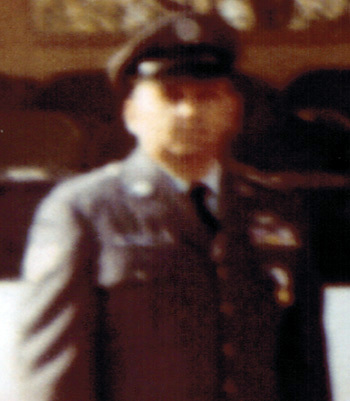 TSgt Hodges' final assignment was as an HH-53 instructor flight engineer with the 1550th Aircrew Training and Test Wing at Hill AFB, Utah, from March 1974 until his retirement from the Air Force on July 1, 1976. Aron Hodges died on June 16, 2005, and was buried at Chester County Memory Gardens in Henderson, Tennessee. 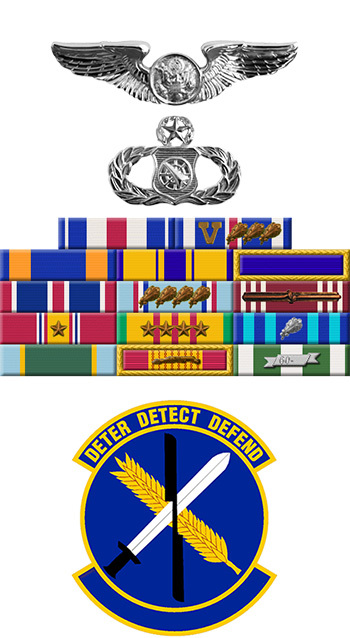 Staff Sergeant Aron P. Hodges distinguished himself by gallantry as a volunteer in military operations against an armed enemy of the United States during the Prisoner of War search and rescue operation at Son Tay, North Vietnam, on 21 November 1970. On that date, Sergeant Hodges, performing as a Flight Engineer-Gunner in a helicopter, flew deep into the heart of enemy territory in a bold night attempt to rescue American Prisoners of War. His aircraft was the first into the objective area. His extremely accurate fire upon critical enemy threats within a few feet of suspected prisoner containment areas provided invaluable protection for the rescue party and created panic and total confusion among the enemy. The personal skill and extreme courage displayed by Sergeant Hodges in this very hazardous rescue attempt contributed immeasurably to the ultimate effectiveness and success of the mission. By his gallantry and devotion to duty, Sergeant Hodges has reflected great credit upon himself and the United States Air Force.